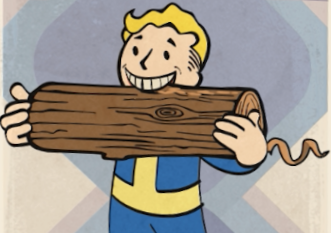 Woodchucker is a Fallout 76 Perk. Woodchucker has 1 rank, requires a level of 17 to use, and spends 1 point by default. Perks are special abilities in the fallout series that give unique bonus to the players taking them. These bonuses heavily affect gameplay, and are important decisions that define Builds. : Collect twice as much when harvesting wood"
Perks usually have between 2-4 ranks, with each subsequent rank further improving upon the initial one. Players cannot slot all Perks, but must instead weigh the cost of each Perk against that chosen Stat's Points. Every Perk has a default point cost, that increases by +1 for each Rank added. Players with more than 3 points into Charisma can share active perks with their team members. To do so, you will need 3 times more points in Charisma than the perk's cost.